Auto component maker, Wabco India's scrip is up seven per cent in two trading sessions on expectations that higher adoption of automated manual transmission (AMT) in trucks and buses after BS-IV implementation as well as the transition to BS-VI should improve the company's prospects. While the company is manufacturing small number of AMT units currently, the implementation of BS-IV and the use of electronic engines will lead to higher adoption of the AMT in commercial vehicles. Higher fuel efficiency and driving comfort are reasons cited for the increase in the use of AMT. The use of this technology is expected to pick up in intra-city buses before being used for trucks. Last month Eicher introduced Wabco's AMT gearbox for its entire range of buses and mid-range trucks. Improving content share of Wabco per commercial vehicle will drive volumes and revenues for the company. Analysts at Credit Suisse say that going forward the key content drivers for Wabco will be AMT whose adoption will pick up in the future with the implementation of tougher emission norms coupled with more advanced braking systems like air disc brakes. While the value of content per vehicle for Wabco India is just $500, it is double that in its international operations reflecting the potential. 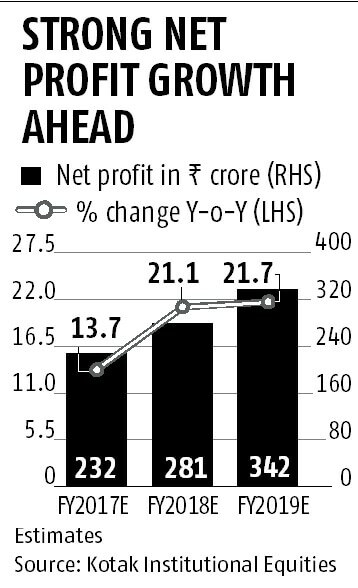 Growth going ahead will be driven by two key segments: medium and heavy commercial vehicles (M&HCVs) and exports, which account for 47 per cent and 32 per cent of revenues, respectively. The M&HCVs segment is however going through a slowdown with FY17 volume growth flattish and the near-term outlook not very robust. This is because of uncertainty over GST implementation and its effect on fleet utilisation, price increases after BS-IV migration and competition from railways, say analysts at JM Financial. Analysts however say that higher focus of the government on infrastructure, lower diesel prices and introduction of scrappage policy could give the necessary impetus to M&HCV sales. The other trigger, according to analysts at ICICI Securities, is if ABS (anti-lock braking system) gets mandated by the government for all on-road vehicles, Wabco has an incremental revenue potential of Rs 3,000 crore that could drive its performance going forward. 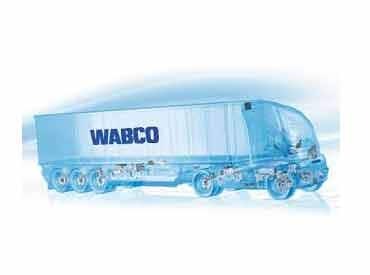 Given the nature of its products and a near monopoly in certain segments, Wabco tends to outperform the sector. In the December quarter, for example, while production volume growth for M&HCV segment came in at 4 per cent, the company's revenues grew 10 per cent. The company has an 85 per cent share in air braking systems. Analysts at Kotak Institutional Equities believe that the company will continue to outperform M&HCV segment through new product introductions such as disc brakes, compressors and AMT for trucks as well as a ramp up in exports. The company would look to rising Class 8 orders in North America and improvement in freight growth as the geography is a key market. At the current price, the stock is trading at 33 times its FY19 estimates. While there is huge potential for the company's products, the valuations are difficult to justify given muted near-term outlook. Await sharp correction before considering the stock.